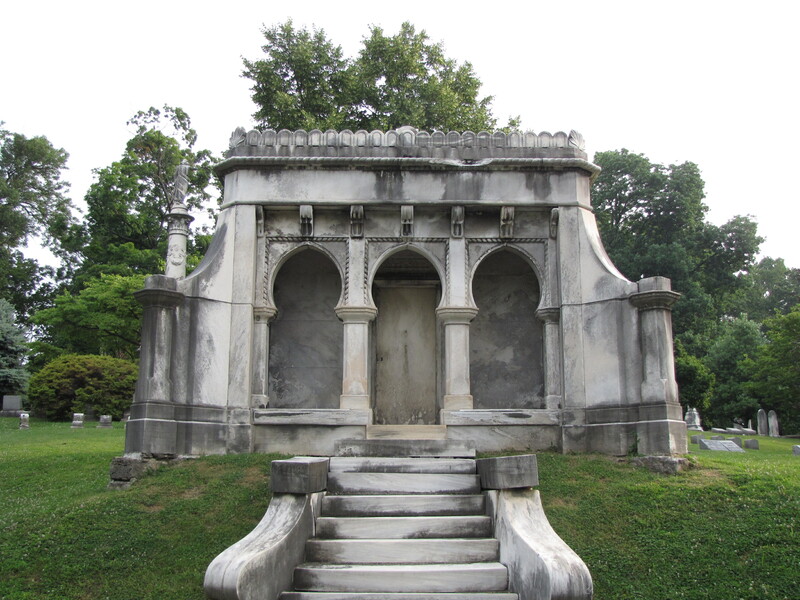 With the exception of the ornamentation on the top of the Spotts Mausoleum, two nearly identical mausoleums, one in the Cave Hill Cemetery at Louisville, Kentucky, and the other in the Mt. Olivet Cemetery at Nashville, Tennessee, were designed and built in the Venetian Gothic style. Owner of the St. Nicholas Hotel and Steamboat Captain Harry Innes Spotts was laid to rest in a mausoleum (above) designed by John Baird (1820-1894) who was the proprietor of the Steam Marble Works at Philadelphia which cut marble with steam power. Baird’s shop gave customers standard designs to pick from. 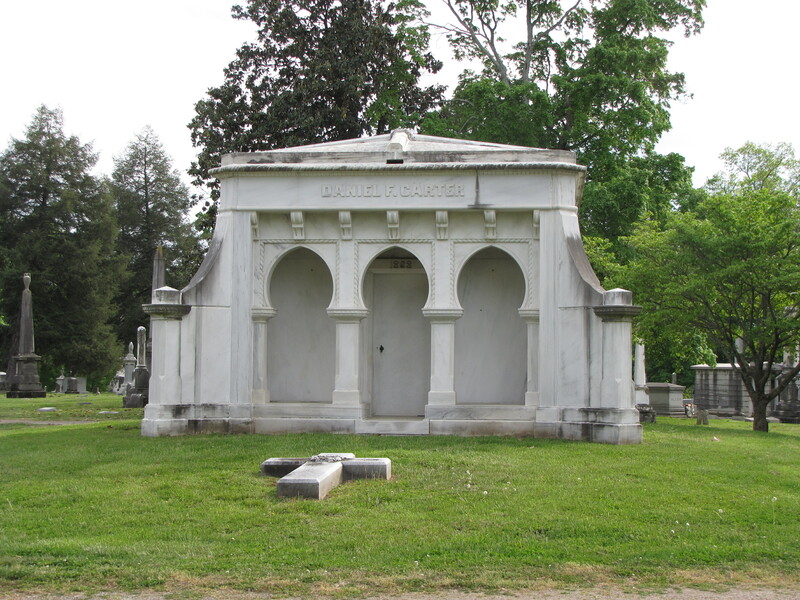 Daniel Franklin Carter (1808-1874), a prominent Nashville banker, was buried in a mausoleum in the Mt. Olivet Cemetery at Nashville, Tennessee. Both mausoleums are designed in the Venetian Gothic style. Venetian Gothic architecture combined several architectural styles—Moorish, Gothic, and Byzantine—into a single style reminiscent of the building designs that brought a confluence of cultures together to create a flourish and lightness to the canals of Venice. During the Victorian era, several architects drew from the Venetians for creative building designs that was part of a larger revival that intertwined several styles into one pleasing to the eye.